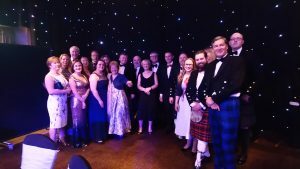 The Navarino Senior Management and Sales Team were honoured to attend the annual HIT Scotland Industry Awards and Dinner on the 28th March 2019 at the 5 star Hilton Glasgow Hotel. The HIT Scotland Charity has gone from strength to strength to support literally tens of thousands of people working and studying in the hospitality industry in Scotland to broaden their skills and experience by taking advantage of a tailored learning experience offered through the HIT scholarship programme. Many Congratulations to them for also celebrating their 25th Anniversary this Year!